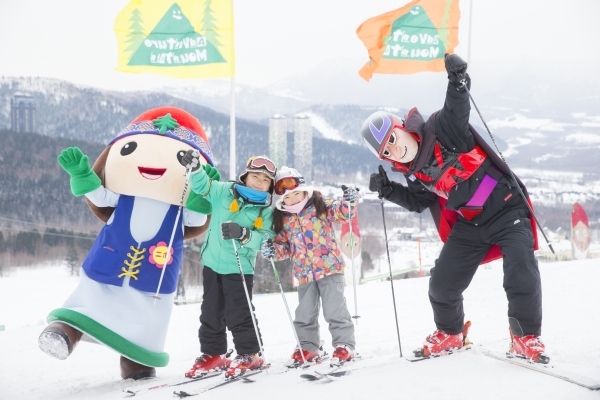 Hoshino Resorts Tomamu Ski Resort is located in central Hokkaido, with easy access by both train and bus from New Chitose Airport and the city of Sapporo. 85 minutes by direct bus and 70 minutes by train is all that it takes to get to Tomamu from the Airport making it the closest and most easy to access resort. 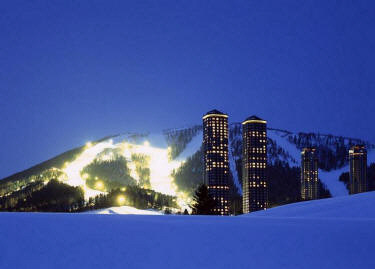 A total of 25 runs entertains skiers and snowboarders of all levels. 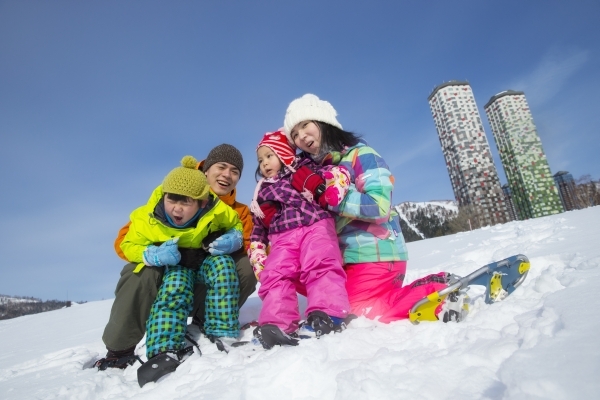 Family areas and sled parks with a 'magic carpet' for families with small children. 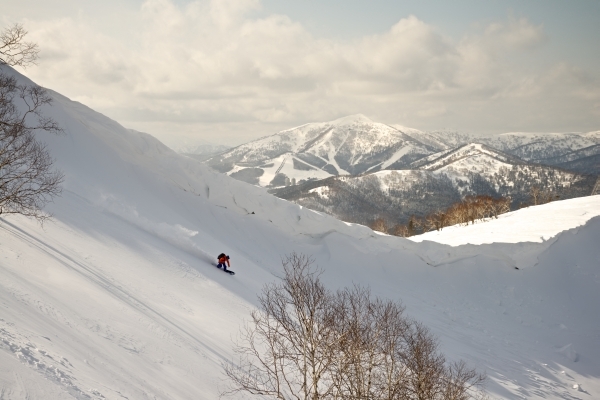 Non-groomed steep runs and one of Hokkaido's largest train parks for advanced riders. All the fun you can imagine and more fun beyond your imagination is what awaits at the resort. 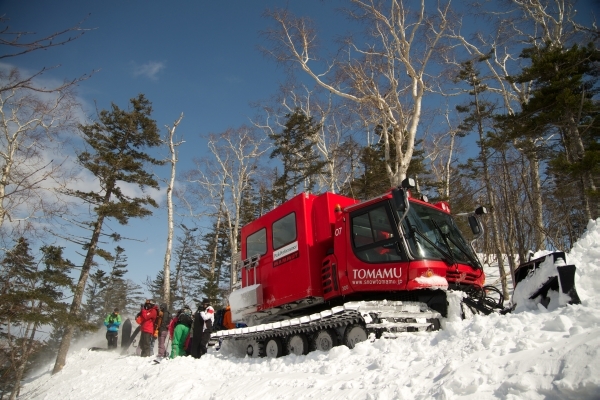 Tomamu, as a ski resort is committed to preparing the best ski & snowboard condition for it's visitors. Grooming of the slopes and maintenance of the terrain park items are done daily to perfection. But the resort felt that isn't enough. 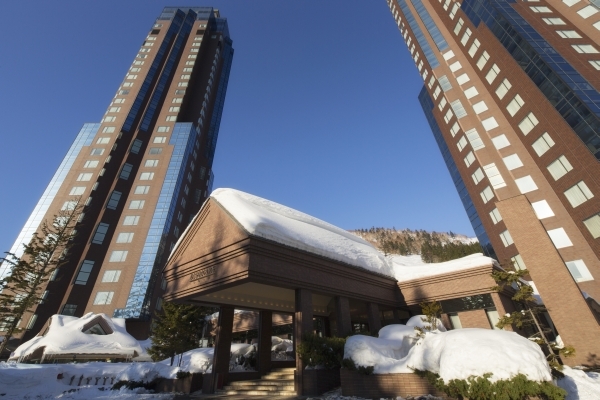 That there is more to the snow covered winter mountains than just the fun on the slopes. Thus the resort took a step further. sign up at the Powder Area Registration Desk where the ski resort staff would inform you of the snow conditions of each areas and hand you a bib & helmet to ensure your safety. 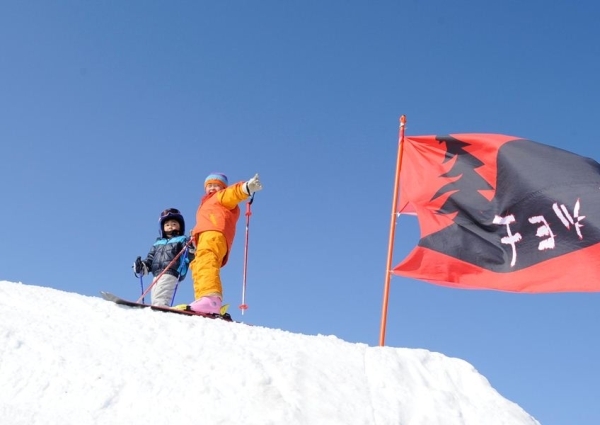 Tomamu's terrain park is one of the largest in Hokkaido. With three areas for each level of riders,　the most advanced park is used as home ground for a former olympian. With a pair lift running parallel to the park,　no need to walk up the slope! Tomamu is surrounded by a league of mountains. 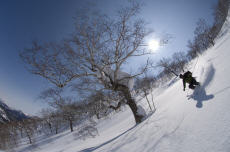 On these mountains falls Japan's top quality powder snow. If you think you know how it feels to ride on deep light powder snow, let our Powder Guides show you what real powder is like! Adventure Mountain is a family adventure area where various items and obstacles are placed. From the 2013-14 season, the Adventure Mountain has expanded to two different areas. CHOKKARI MOUNTAIN - for those who wants to reach a higher level of riding. With a story to each item to the entire mountain, the child becomes the hero/heroine on a mission to defeat the evil genie! 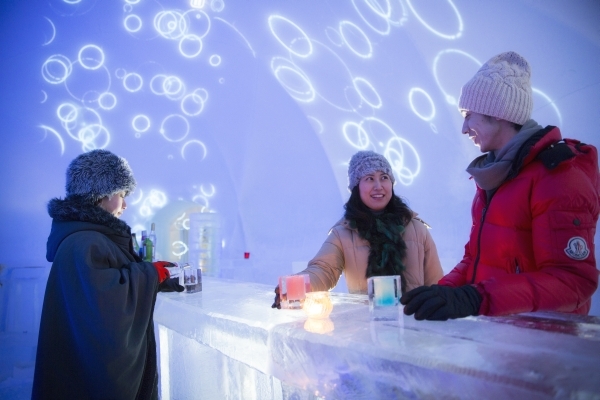 The Ice Village is one of the major highlights of the resort during the winter season. Created with only snow and water, the areas outstanding coldness forms a village of ice for a limited period from January to March. A must see! Ice bar, ice restaurant, ice chapel, skate rink and an ice slide is what builds the Ice Village. 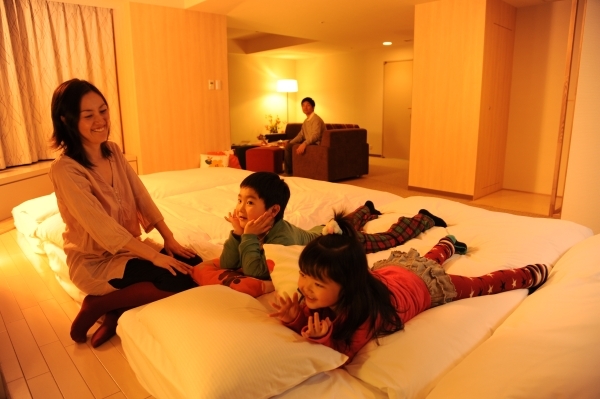 A great after ski fun that you can not find in other resorts. Skiing and snowboarding is not the only way to have fun with the snow. 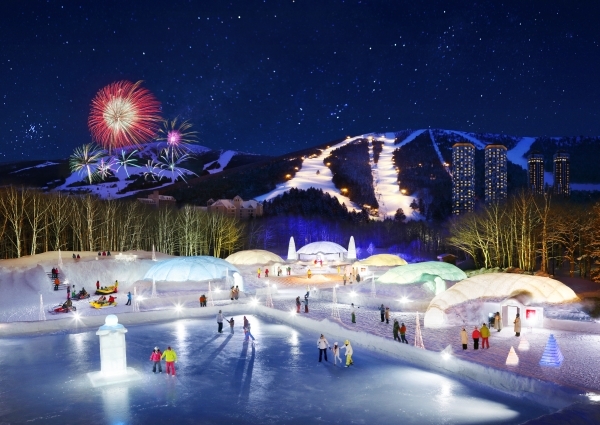 The Polar Village is the center of various winter activities for guests of all ages. 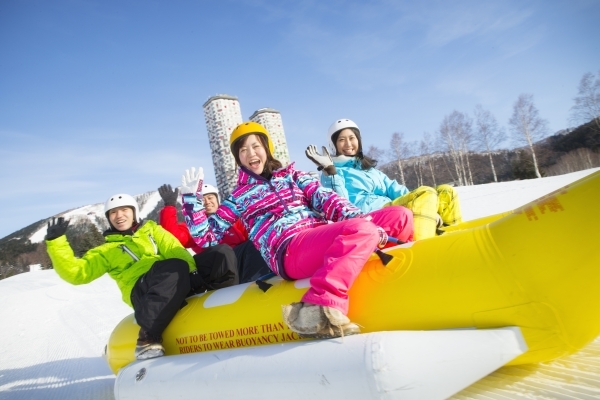 Snowmobile riding is a popular activity in Hokkaido, but only Tomamu has a 10Km course actually within the resort area! One of Japan's largest indoor wave pools! No matter how cold it is outside, this beach is kept at 30 degrees celcius. The kid's pool is filled with floating balls and rental floats for childrens fun and a jet spa cottage for adults. The word "mina" is a word meaning "smile" in the old local language. As it's name resembles, this beach is always filled with smiles and laughter. 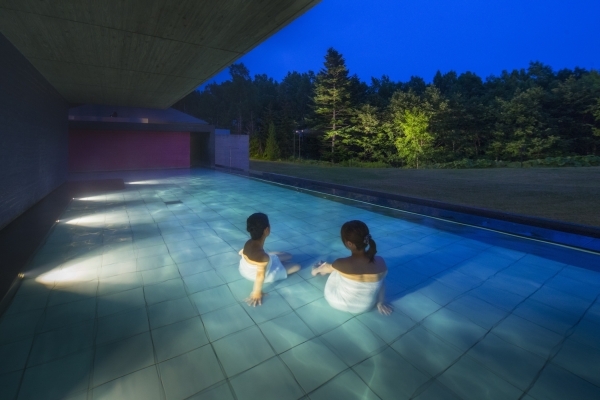 Kirin-no Yu "open air bath". Located within the MINA-MINA Beach is the Kirin-no-Yu. This male and female separated public outdoor bath faces the deep forests of Tomamu. There are no walls or ceiling to disturb the scenery. Look up to a sky full of stars, look down to the forests and your eyes may meet with local residents such as squirrels, foxes and deer. From standard twin rooms to fourth rooms. 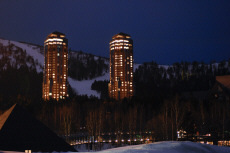 Located at the center of the resort area, The Tower is close to the restaurants and can ski-in & out to the slopes. Free WiFi available in every guest room. There are only 4 rooms on each floor. 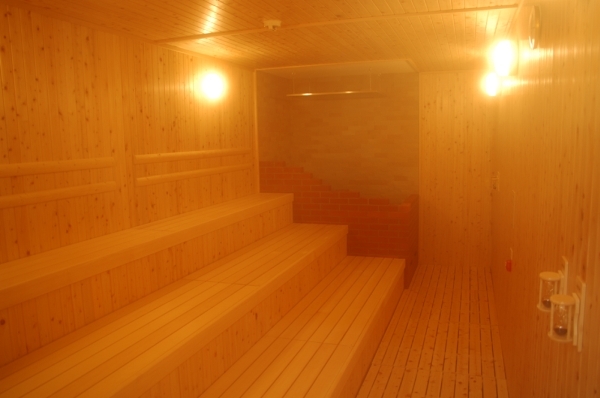 Each room has approximately 100 square meters and is equipped with a whirlpool bath and sauna. 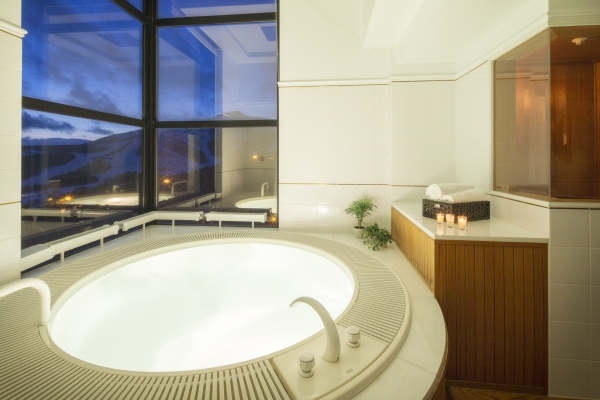 This luxurious hotel assures perfect relaxation. Free WiFi available in every guest room. 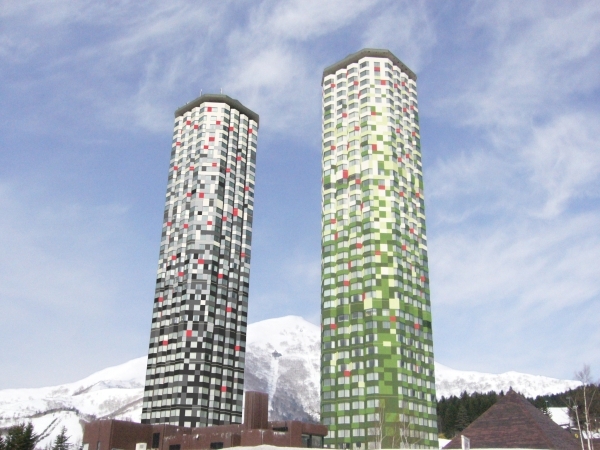 Easy access from New Chitose Airport by both bus and train. Just 85 minutes by direct bus and 70 minutes by train is all that it takes to get to Tomamu from the Airport making it the closest and most easy to access resort.